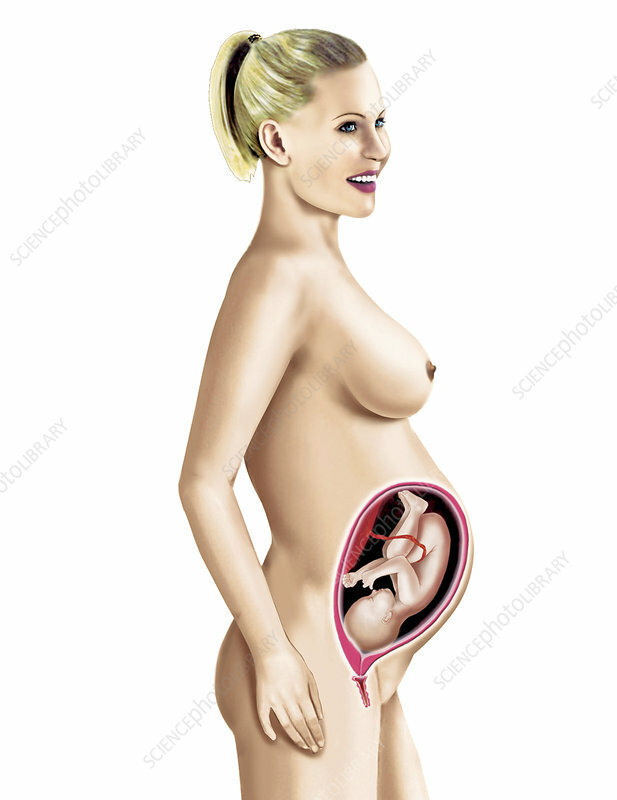 Illustration of the pregnancy step by step. Foetal Period, Eighth month. Preparation for birth is completed.